The Infuser delivers optimal espresso flavour in every cup. 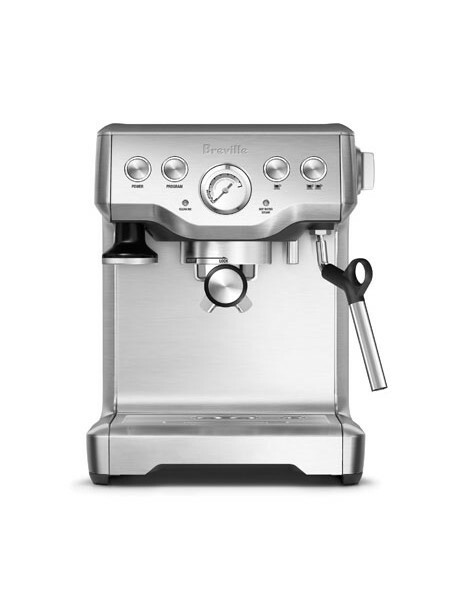 It pre-infuses ground coffee with low, steady water pressure before extraction, gently expanding the grinds before stepping up to high pressure. The result is a more even extraction, which produces balanced coffee flavour. Volumetric Control - Programmable, semi-automatic function controls the volume of the espresso pour at the touch of a button. Micro-foam Milk - High power 1700W element for high pressure steam and faster heat up to create micro-foam necessary for caf quality drinks and to create latte art.